What could be more Superbowl ready and food faddish at the same time than a self-contained mini-cupcake with all the nacho fixin's? Plus it combines some of the best recipes of Vegetarianized.com, including baleadas, refried beans and grilled guacamole. Make refried beans according to recipe and set aside. Make baleadas recipe, steps 1-2 only. While the dough is resting, preheat oven to 400 degrees. Divide each 16th of dough into four equal parts. 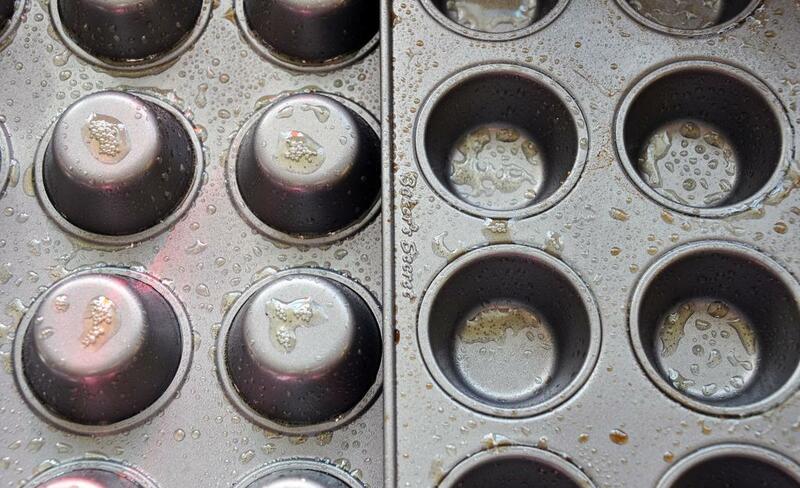 Spray 2 mini-muffin tins with cooking spray - one in the cups and one on the bottom. 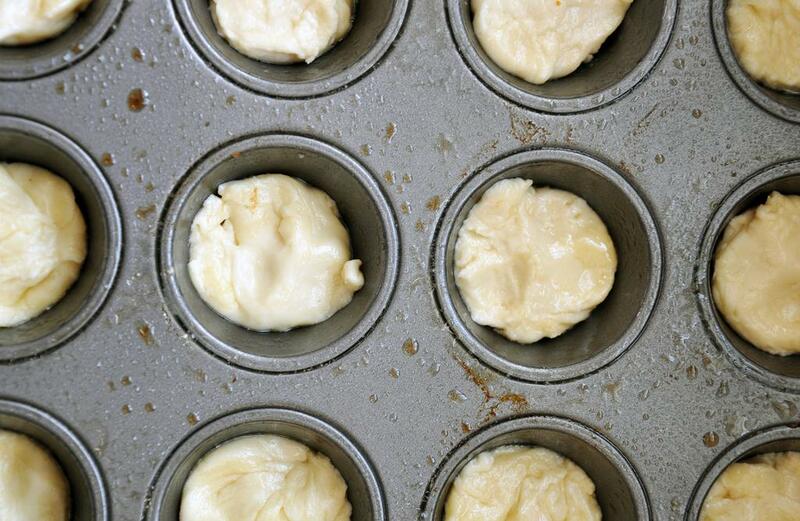 Place each quarter piece of dough into a muffin cup, and press down until evenly distributed in the cup. Place the bottom-sprayed tin on top of dough and press down. 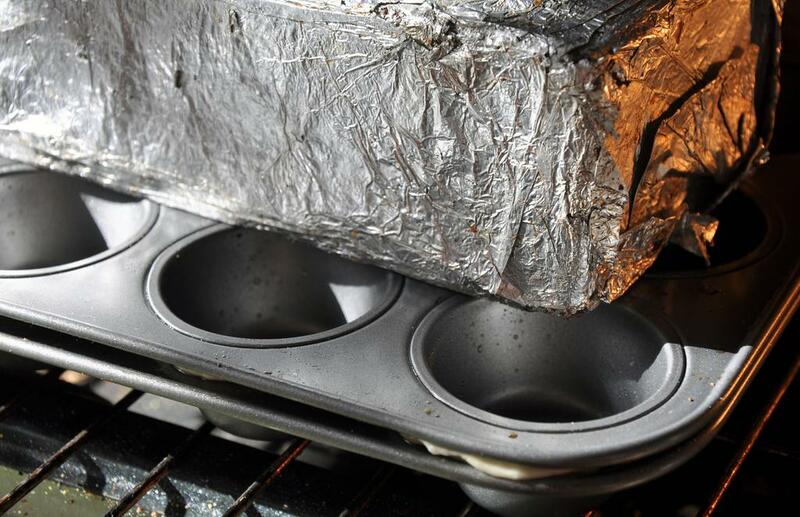 Place tin in oven and put an oven-proof pot or foil-wrapped brick on top. Bake 20 minutes, rotating half-way through. Remove from oven, turn onto cooling rack and let cool. Repeat with remaining dough. Make grilled guacamole according to recipe and set aside. Turn oven heat down to 350 degrees. When cupcake shells are cooled, put 1/2 Tbsp of refried beans into each. Top with 1/2 tsp hot sauce and 1/2 tsp cheddar cheese. Bake 5 minutes and repeat with remaining shells. 2. 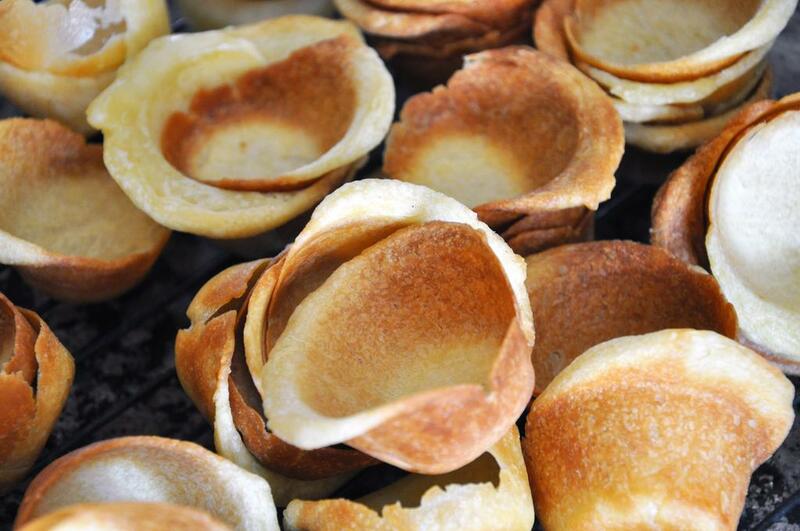 Make baleadas recipe, steps 1-2 only. 4. make grill guacamole according to recipe. – where are these recipes?? Sorry, Becca, the links weren’t live! They are now…check it out. Thanks for your interest…send me a pic when you make them. Can you make these cups in advance and atore rhem for a week before using it? If yes, what’s the best way to store it. 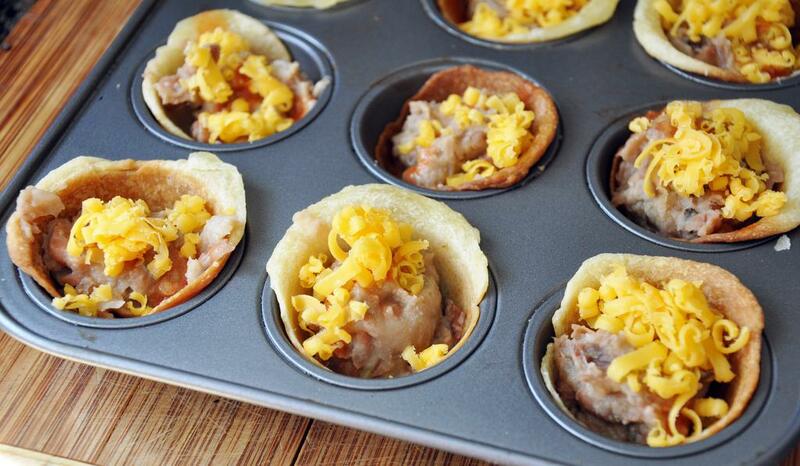 Can you make these nacho cups a week in advance of using them?.If so, what’s the best way to store them? 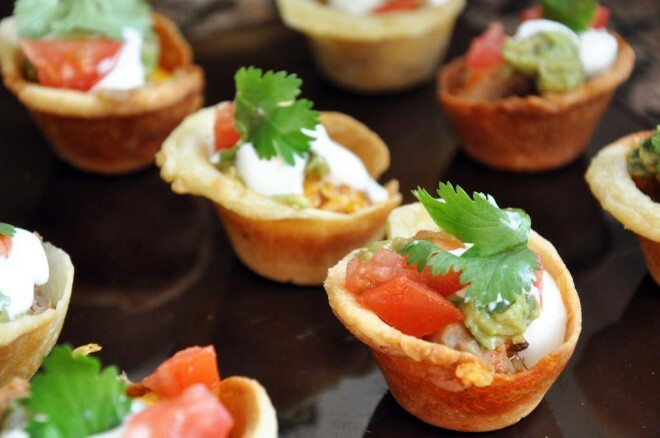 Yes, you can make the nacho cups in advance. Make sure they stay dry and wrap them loosely so they don’t get stale. Thanks for your interest in Vegetarianized.com. I hope you’ll leave another comment to let me know how they turned out!